The Plexidor is an industry leader in excellence. 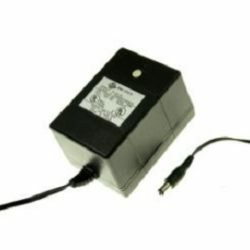 From it sturdy aluminum frame, to it’s energy efficient design. 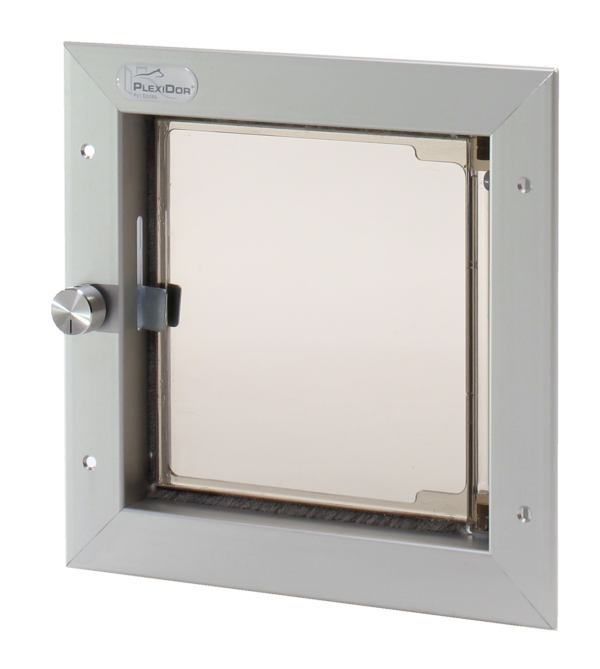 The Plexidor door mount series brings a sense of security with a steel plate cover and turn key lock. The Plexidor is designed to last. Important Note: Sizes Small, Medium, and Large are not Chew proof. 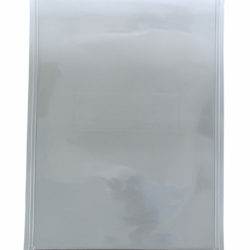 If you have a chewer, please consider the Chew proof series Bite Guard. This door is for household doors and fits cats up to 24 lbs. and small dogs up to 9 lbs. 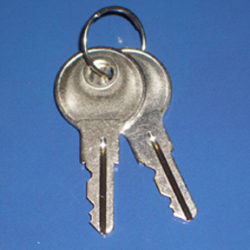 Available colors: Silver, White, or Bronze. 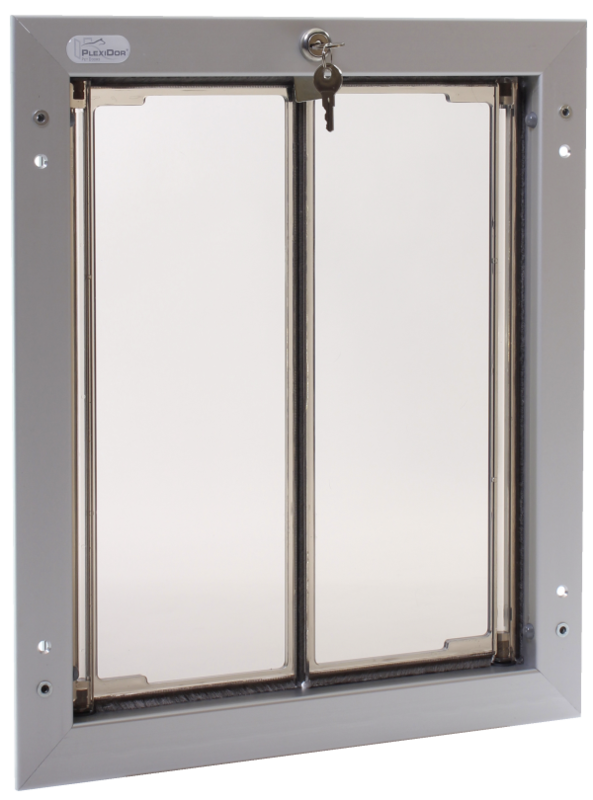 Plexidor Door Unit frames up to 1 3/4″ thick household door. 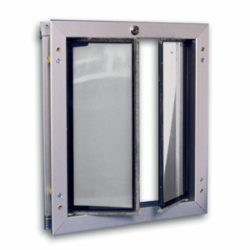 Includes: petdoor with lock and exterior trim pieces. 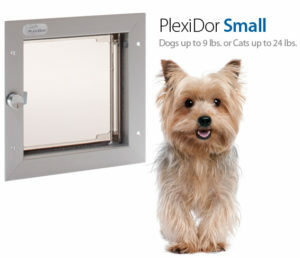 Use code PLEXIDOR at checkout for free GROUND shipping on the door! 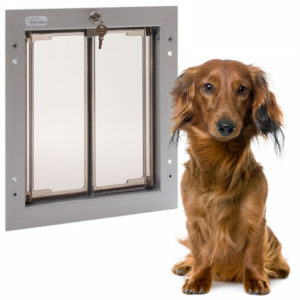 This door unit for household doors fits dogs up to 40 lbs. Size dogs up to 40 lbs. 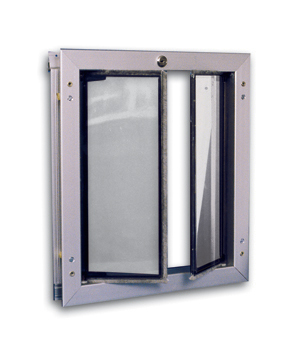 Plexidor Door Unit frames up to 1 3/4″ thick household door. 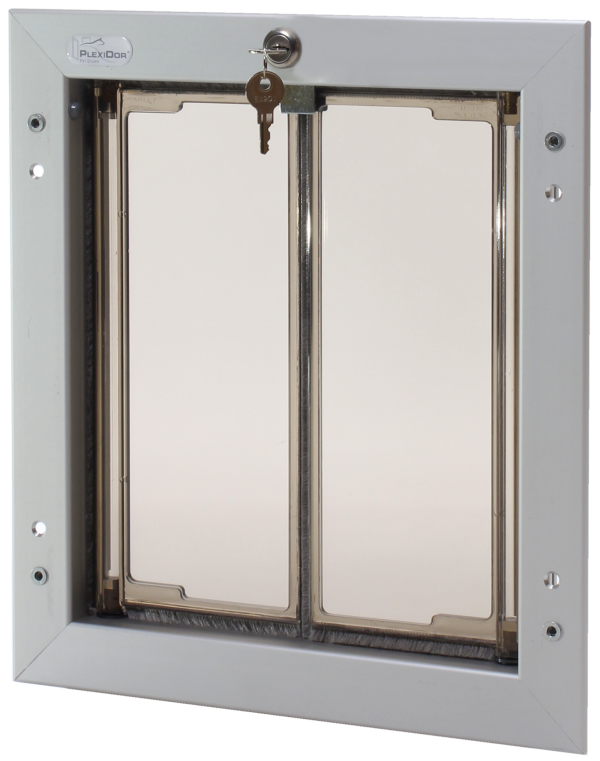 Includes: petdoor with lock, security plate, and exterior trim pieces. 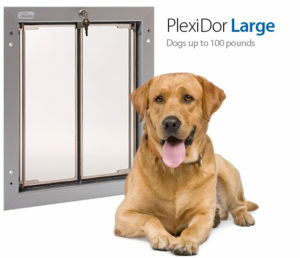 This door is for household doors and fits dogs up to 100 lbs. Size dogs up to 100 lbs. 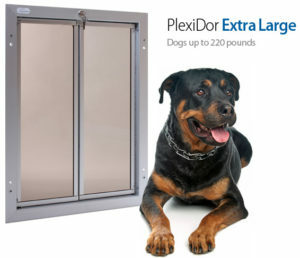 This door unit is for household doors and fits dogs up to 220 lbs. 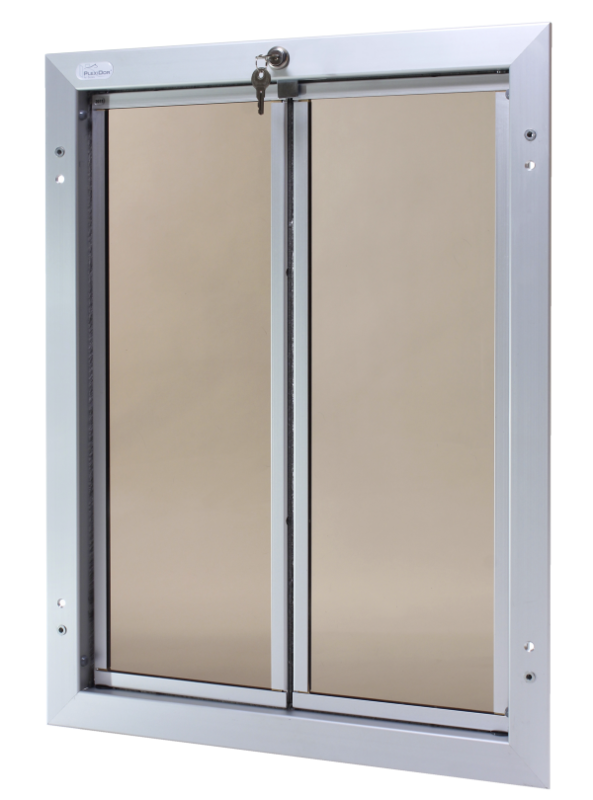 This doggie door is for giant breeds like Great Danes, New Foundland, Irsih Wolfhound, Great Pyrenees, Mastiff, Scottish Deerhound, etc. Size dogs up to 220 lbs.